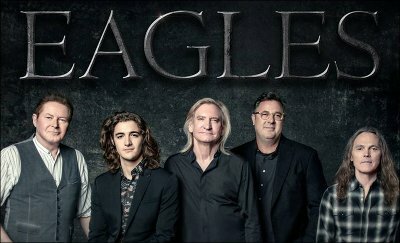 The Eagles have announced their first block of live dates for 2018 in what Joe Walsh described as an eventual 30 to 40 dates. Joining them on select dates (see below) are Jimmy Buffett and the Coral Reefer Band, James Taylor and His All Star Band and Chris Stapleton. Arena dates will be just the Eagles. The three remaining members of the band, Don Henley, Joe Walsh and Timothy B. Schmit will again be joined by Country Music Hall of Fame member Vince Gill and Deacon Frey, the son of the late Glenn Frey.